(New York, NY) - All That Remains has announced a tour in support of their new studio album A War You Cannot Win (Razor & Tie). All That Remains will co-headline with Hellyeah and In This Moment(alternating dates, see full tour dates below). ATR label mates Nonpoint will support the tour which kicks off on March 18th in Albuquerque, NM. All That Remains' first single, "Stand Up" has spent a second week at #1 at Active Rock Radio on BDS and is now #1 on MediaBase as well. This marks the band's first ever #1 radio single and ATR's 5th consecutive Top 10 single at the format. "Stand Up" is also Razor & Tie's second single to reach #1 at Active Rock in the past five months and Razor & Tie's first Active Rock single to reach #1 on both charts. A War You Cannot Win debuted at #13 on the Billboard Top 200 with over 24,700 units sold in its first week and has sold over 65,000 to date and is currently on the Billboard Top 200 Album Chart. A War You Cannot Win is available now at the Itunes Store Here. ATR has sold more than 1 million units to date and 1,460,000 tracks to date. The band's last album, For We Are Many, debuted at #10 on the Billboard Top 200 chart in 2010 and sold 185,000 albums to date. and even more from Razor and Tie! 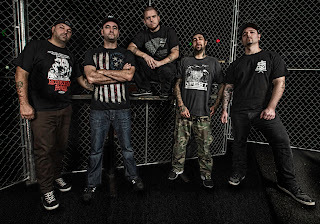 Hatebreed has announced their second headlining tour in support of their new studio album, The Divinity of Purpose. The Divinity of Purpose 2 Tour 2013 will kick off on April 9th in Millvale, PA. Joining Hatebreed on this run will be special guests Every Time I Die, Terror, Job For A Cowboy and This Is Hell (tour dates below). Tickets and VIP Meet & Greet packages will go on sale Wednesday, February 13th at 12:00 PM at Hatebreed.com/vip. Public on sale begins on Friday, February 15th and Saturday, February 16th. The Divinity of Purpose (released on Razor & Tie in the United States/Canada) recently debuted at #20 on the Billboard Top 200 with over 17,400 units sold in its first week marking the band’s highest career album chart entry to date. The Divinity of Purpose is available now at the iTunes Store HERE. Hatebreed is currently featured on the covers of both Revolver and Hails & Horns Magazines with the new album receiving press raves from around the world. The band also received a Revolver Golden God Awards Nomination for “Best Live Band” alongside Anthrax, Lamb of God, Slipknot, Volbeat, and Five Finger Death Punch. Hatebreed is on tour now in the U.S. (through February 17th) playing a ferocious mix of material from every facet of their career along with songs from the recently released new album. This tour features special guests and label mates, Shadows Fall along with support acts, Dying Fetus and The Contortionist. Hatebreed will return to the U.K. in April for a number of headline tour dates (all dates below). Hatebreed is Jamey Jasta (vocals), Chris Beattie (Bass), Wayne Lozinak (Guitar), Frank Novinec (Guitar) and Matthew Byrne (Drums). 7. Jimi Hendrix - Somewhere / Power Of Soul 7"
DEAR JERRY: For over a quarter-century you have been coming to the rescue of confused and confounded music lovers. Now you can add me to that list. As you know, "In the Misty Moonlight" was a huge hit for Jerry, and I have it. However, my copy has "Even the Bad Times Are Good" on the reverse side. 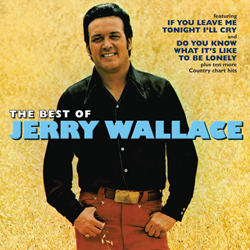 In fact, I have never heard of a Jerry Wallace song titled "Cannon Ball." What does come to mind is the popular instrumental of that title by Duane Eddy. Did Jerry do a version of that music, but with words added? Or, did the dealer simply make a mistake when preparing the list? I catch typos all the time on these things. DEAR CONFUSED AND CONFOUNDED: Your dilemma is reasonable, considering this story has enough twists to inspire a mini, mini-series. The adventure begins in the summer of 1963, with the debut single by the Soul Surfers, "Cannon Ball" coupled with "Home from Camp" (Challenge 9209). Both are instrumentals. This "Cannon Ball," which bears no resemblance to Duane Eddy's 1959 hit, "Cannonball," is merely a rockin' rendition of the country classic, "Wabash Cannonball" (a.k.a., "Wabash Cannon Ball"). "Home from Camp" is the band's version of Allan Sherman's "Hello Mudduh, Hello Fadduh (A Letter from Camp)." About a year later (June 1964), Jerry Wallace's "In the Misty Moonlight" came out backed with "Even the Bad Times Are Good" (Challenge 59246). As this great Cindy Walker tune headed for the Top 20, and on its way to being Wallace's biggest hit since "Primrose Lane" (1959), some stations began playing "Even the Bad Times Are Good." After just two months, Challenge became so concerned about wasting a potential A-side that they replaced "Even the Bad Times Are Good" with "Cannon Ball," yet the selection number (59246) remained unchanged. Now you know the list you received is accurate. Having a humdrum filler for a B-side, "In the Misty Moonlight" ran its course without flip-side competition. Jerry's next single came out in October, and of course it was "Even the Bad Times Are Good," this time backed with "Spanish Guitars." Nothing about "Spanish Guitars" is humdrum. Challenge, and especially their co-owner and operations manager, Joe Johnson, must have been exasperated to once again see a B-side get as much or more airplay and juke box spins than the A-side. This was especially true in southwestern markets near Mexico, such as Houston and San Diego, where "Spanish Guitars" made the local charts while "Even the Bad Times Are Good" was ignored. Nationally, neither side made the Top 100, partly due to the split airplay. The other reason involved this British Invasion thing, the effect of which left roughly 20% fewer chart spots available for non-UK artists. Despite the challenges Challenge faced in their effort to turn "Even the Bad Times Are Good" into a hit, they were not alone in this regard. In mid-July 1969, Liberty Records had Jerry record a new version of "Even the Bad Times Are Good." Unfortunately, this effort (Liberty 56155) didn't fare any better than the 1964 recordings, though it did briefly make the radio playlists of numerous country stations. For two weeks in May 1970, the single appeared on Billboard's country survey, but only reached No. 74. Tammy Wynette (1976); Ray Pillow (1964); Connie Smith & Nat Stuckey (1973); and Conway Twitty (1973). In 1967, a year without a significant Belew-Pitts "Even The Bad Times Are Good" recording, the Tremeloes moved into the Top 40 here and the Top 5 in Britain with a totally different song of the same title. IZ ZAT SO? Considering how renowned and recognizable "Wabash Cannonball" is, one might find something fishy about the writing credit for "Cannon Ball." Both Challenge 9209 and 59246 name only Joe Johnson. The most likely reason this track was chosen to replace "Even the Bad Times Are Good" is it allowed Johnson to share in the royalties for one side of a very successful single ("In the Misty Moonlight"). I am not aware of anyone challenging Mr. Johnson's writing claim for "Wabash Cannonball," though he was neither the first nor the last to do so. Most recordings credit A.P. Carter, of the Carter Family. They had the first recorded version in 1929. Several have no songwriting credits whatsoever. Among those are Bill Carlisle's Kentucky Boys (Decca 46045), Hugh Cross (Columbia 15439), and some early 78s by Roy Acuff and His Crazy Tennesseans (Columbia, Okeh, Vocalion, etc.). Subsequent Acuff issues do credit A.P. Carter. Few women sang about the Cannonball, but Kay Starr did, and her Capitol 78s can be found with either A.P. Carter or "Traditional" where the writer is shown. Interestingly, Kay is accompanied by guitarist Merle Travis and His Orchestra. Finally, Jerry Reed, Lonnie Donegan, and Dicky Doo, much like Joe Johnson, list themselves directly under the title. Opinions vary regarding who wrote what and when, but what is known is that combined singles sales of "The Wabash Cannonball" now exceed 10 million copies. .